Why FusionWare | FusionWare Integration Corp.
Our Multivalue data connection products support everything from the original ODBC to JDBC to newer technologies involving Java, .NET and SQL Azure and are available for every flavour and version of PICK . The Integration Server product is based on platform independence and standards-based connectivity. Web Services and XML are key foundations to the FusionWare Integration Server. In addition, we have significant skills and expertise in development process management, windows platform and web development, database development and integration of multiple disparate systems, data sources and applications, to create seamless, unified applications and websites. Around the world, FusionWare products and services have gained a loyal following among Fortune 500 companies and organizations of all sizes, including Elizabeth Arden Salons, MeadWestvaco Calmar (now Silgan Dispensing) and Wiltshire Friendly Society. FusionWare is headquartered near Vancouver, Canada. At FusionWare we are passionate about engaging with the wider developer community and to this end, we run the Vancouver Windows Platform Developer Group that meets regularly in the Greater Vancouver area. 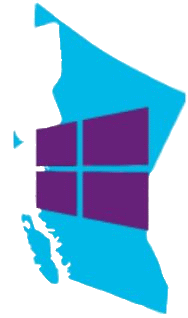 This group was formed to assist developers in the Lower Mainland that have an interest in any sort of Windows Platform development.